Scrap Paper Scissors etc. 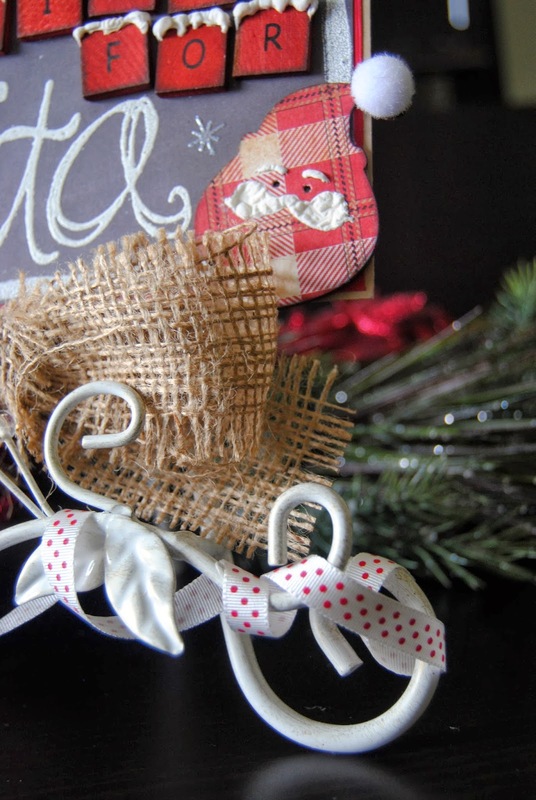 : Songs of Christmas Blog Hop. Hello and welcome to the Songs of Christmas Blog Hop with Two Scrapbook Friends! You should have arrived here from the lovely Tracy's blog, who I know had a wonderful project for you to feast your eyes upon. As I'm sure you're aware by now, our Blog Hop is all about the Songs of Christmas so the inspiration for my project comes from the song "The Twelve Days of Christmas". Now I'll admit I'm using a loose interpretation of the song, as my creation is more like the '24 days of Christmas', but as there is no festive jingle of that title that I'm aware of, this is close enough! Yes you may have guessed, my project is an Advent Calendar of sorts........a flip chart countdown to 'the Big Day' if you will! I was fortunate enough to be re-gifted one of those ornate scrapbook display frames by my girlfriend Carola (she will definitely have something to say if I don't get the obligatory mention in there! ), which coincided with me trying to recreate this 'Advent' idea.............a project is born! A trip into the Two Scrapbook Friends store found me the perfect Christmas papers........Nordic Pines from Bazzill.......non-traditional, a touch of black, a little Kraft........what more could a girl want? An evening (or two!) of thinking, measuring, re-thinking, re-measuring and more embossing powder than I have used in the last 10 years finally got me to this point. 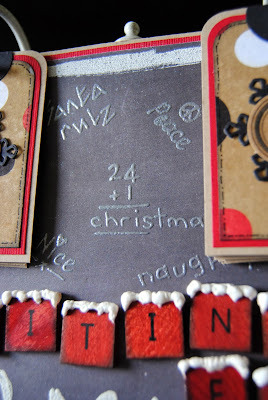 I liked the idea of a chalkboard background as it is for my kiddo's after all, so I used a white embossing powder to create a chalk-like effect with various glue pens and stamps. The scrabble letters (never a disappointment!) received a little TLC from various Distress inks and Liquid Applique. and I used a 'pearl' embossing powder and a steady hand to create the subtle graffiti background. As far as the 'flip tags' go we started at 24 of course on the 1st of December, are at 19 right now (just in case you weren't aware of that!) and will work our way down to one more day to go.......Christmas Eve! A little burlap and ribbon finished things nicely and I think that just about covers everything. Hopefully you've been inspired to run out and create your own Christmas project, or maybe just finish the 101 tasks you have left to do in the remaining 19 days! Either way, you'll have some wonderful ideas and a few Christmas songs in your head to put a skip in your step. In order to be entered to win the special prize all you have to do is hop from Blog to Blog, and leave a comment on each as you go. 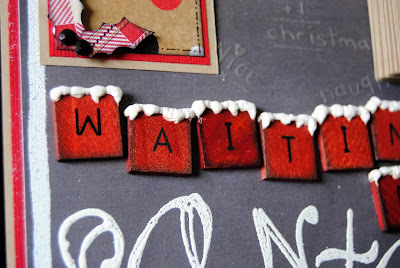 Simply check back at the Two Scrapbook Friends blog on December 10th to see if you are the lucky winner! As you can see from the list, your next stop will be with Darcy who I'm sure has a fabulously festive creation in store. What a beautiful Christmas countdown, Jayne. You always think of great projects and this is no exception - wonderful details, right down to some festive touches on your ornate stand. And I'm lovin' me some Nordic Pines, too. This is absolutely fabulous!! What a wonderful idea! I completely adore what you've done with the Scrabble tiles. Love it, love it, love it! What a great idea for an advent calendar!! I may have to " scraplift " that idea for next year! I am in love with those Scrabble letters covered in snow! It's stunning and so creative. GENIUS at work! Jayne - simply gorgeous! I can't believe all the work you put into the tags for each day, the chalkboard background, the scrabble tiles, your pen stitching and all your other details! Love it! Amazing and stunning Jayne. What a creative project. I really love the tile letters. This would be a great present. love the snow on your letters. Great project. Cute project! Truly love that plaid Santa on your project! Merry Christmas JAYNE! Always wanted to make something like this. Wonderful Jayne! Fabulous card! How fun, and something I would never be brave enough to attempt. Wow! Love the unique looks and Nordic pines is perfect! Oh wow I love it! What a really neat idea! Maybe it will be my goal for next year! Love this project Jayne!! Gorgeous!! This makes counting down to Christmas even more fun! Your advent calendar is absolutely gorgeous! Thanks for sharing! Embossing powder .... love this on cards! Does TSF offer classes on this and the tools? 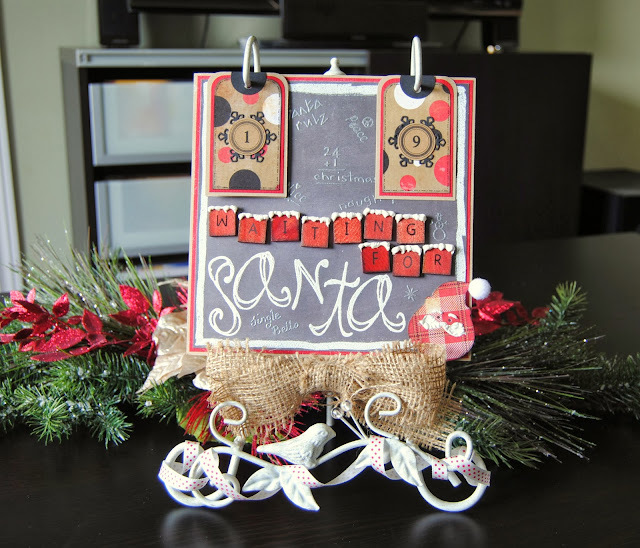 Would love to start this technique from stamps. Love your snowy scrabble letters. I have to go find that old scrabble game buried in the basement LOL. Beautiful design! This is a fabulous idea for an advent calendar! SO creative. so creative and fun too! Wow! You have created a very special advent calendar. I just love all the little details you have added.....and I am sure it took you more than just an hour or two, lol! Beautiful job Jayne. Jayne! This is flipping incredible......love all of your ideas! Merry Christmas! Wow! I LOVE those scrabble letters with the snow on top! What a great idea! So cool, love all the embossing, great project! Love love love this! 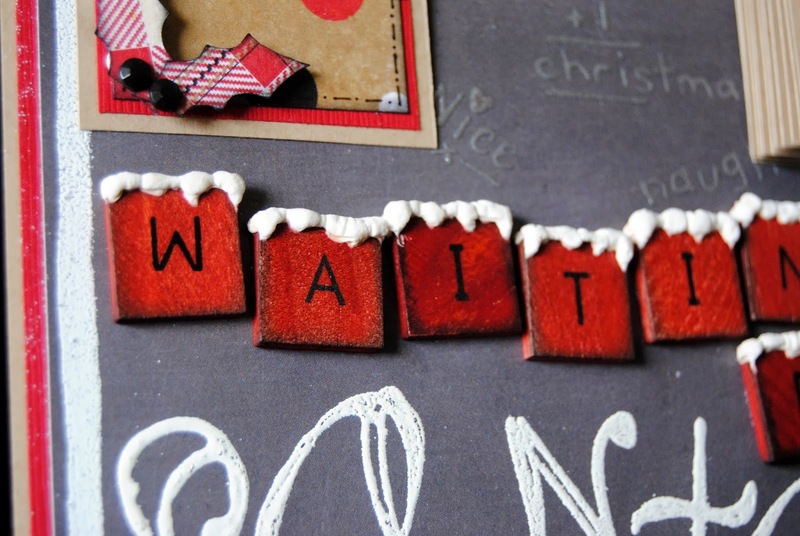 Especially love the snow on your scrabble letters! 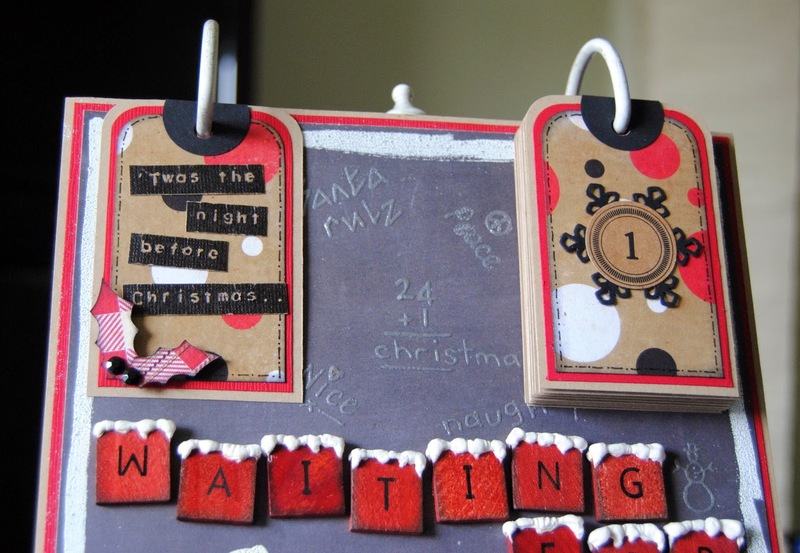 What an awesome idea for counting down the Christmas! I love it! The frosted letter tiles are gorgeous! I am loving the scrabble tiles!!! Awesome idea and I love the scrabble tiles! What a cute project. I love what you did with the scrabble tiles. So nice, love the snowy scrabble tiles~a great addition, thank you.